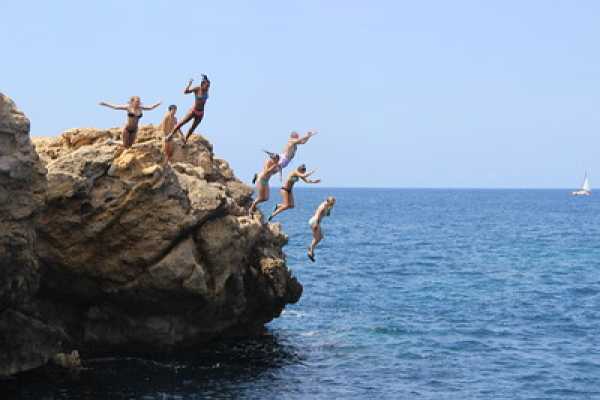 CLIFF JUMPING + SNORKELING Cliff Jumping in Ibiza, the excitement of jumping from the rocks to the sea is one of our most popular activities. Having pioneered this sport here in Ibiza and beyond, we love to share our experience and passion and the unique sense of fulfillment you can achieve. 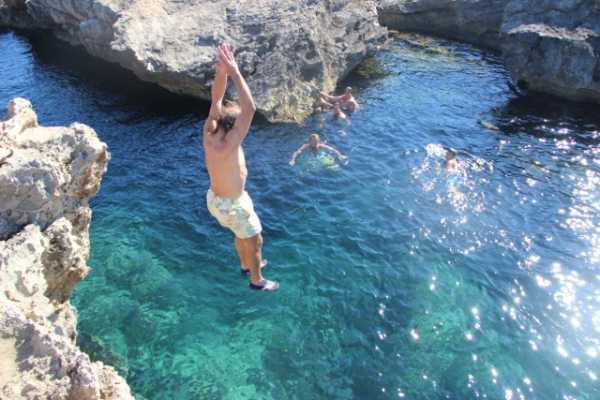 With each leap, you face your fears and learn about yourself and enjoy as a group. Suitable for all ages and abilities, the main objective is to have fun and visit some of the most magical places on the island. The tour takes the group to several spectacular locations with jumps of different heights. The jumps take place in a safe environment under the careful supervision of qualified instructors. 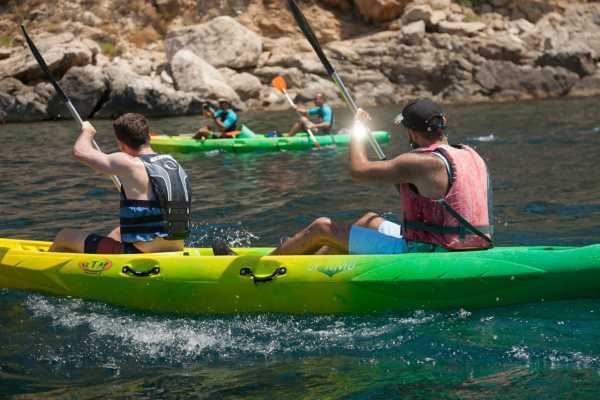 The activity can be combined with snorkeling or stand up paddle. After all the fun and adrenaline, there is time a delicious organic picnic by the sea. There is no obligation to jump but there is no doubt that the flavors taste even better with the rewarding sense of achievement. Minimum amount of people: 6 3 hours approx INCLUDES Cliff Jumping · Snorkeling · Snacks · Water · Insurance EXTRA [OPTIONAL] Transport (Pick up & Drop off) · Organic Picnic.